Kim Carr is impatient. Fiona Stanley is angry. Between them Australia’s new minister for Human Services and the former Australian of the Year want to solve some of Australia’s most intractable problems by mining what could be Australia’s greatest resource – its data. Unexpectedly, the Victorian senator has found himself sitting on top of more data than any minister before him. In March, Julia Gillard withdrew his beloved manufacturing portfolio a few months after taking away innovation, industry, science and research. Human Services looked like a consolation prize, or a punishment for backing Kevin Rudd in the leadership struggle. But the former research minister quickly came to see the department (and the data) as a research gold mine. Created just eighteen months ago it not only processes Centrelink payments as its predecessor used to, but also Medicare payments, pharmaceutical benefits payments, rehabilitation support and child support. It knows an amazing amount about each of us and it is amassing that information from cradle to grave. Its information technology network - built from a number of previously separate networks - is the biggest in the southern hemisphere: five times the size of the Commonwealth Bank’s. It costs $1 billion a year to run. It processes 200 million payments each year, recording each one on a computer system that already holds three million gigabytes. It has twice as much again stored on magnetic tape. The department has always linked its data to the maximum extent permitted by the law, gaining what some might see as a disturbingly complete picture of our activities. But until now it has done it mainly in order to fight fraud. What it has hardly ever done is to interrogate the data to make its services more effective, or as the minister puts it, to “make Australia work better”. “We know where people live, we know when they’ve worked and how they’ve responded to major shocks. We know what illnesses they have suffered, and how they were treated. We can follow a family’s journey right down the generations. I want to open up that information to researchers who can find patterns. For example I would like to know what type of medical admissions take place ahead of applications for child support. If we knew that we would know where to best direct resources before they were needed”. Predicting what’s needed before it is needed is one of the mainstays of science fiction. In The Hitchhiker's Guide to the Galaxy elevators can see far enough into the future to arrive at floors before potential passengers realise they need them, saving them from the embarrassment of waiting around. On the other of the country in Perth former Australian of the Year Fiona Stanley has been working with an unusually cooperative state government for 35 years to gain glimpses into the future. She has been given access to birth records, health records and educational records - all linked in a way that enables her to build a complete picture of someone’s life that isn’t allowed in other states. She reckons she’s just discovered a disturbing answer to one of the senator’s questions, although she wishes she had been able to do it with national data and with data sitting on Senator Carr’s pharmaceutical benefits computers. “Knowing that, or knowing anything like that, means we can direct resources where they are likely to be needed rather than directing them at random,” she says. 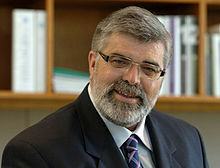 Kim Carr employs one quarter of the Commonwealth public service. He runs a Centrelink office, a Medicare office or an agent in every Australian town. He concedes that until now his department and its predecessor have been seen as a payments organisations - it now shifts two-fifths of the Commonwealth’s budget. But a lot of the payments work is being automated (he calls web-based delivery “home delivery”). Technology is both freeing up staff and making data even easier to collect. “I want the department to deliver more personalised services, “ he says. Until now they’ve been locked out. Fiona Stanley and her colleagues at the paediatrics and child health unit at the University of Western Australia used to get occasional access to pharmaceutical benefits records until the Commonwealth cut it off with what she says was no explanation. Kim Carr has swiftly approved data requests from RMIT University, the Australian National University and the University of Queensland. He has also inherited an earlier program (set up by himself as research minister) in which the CSIRO mines data in Centrelink records. Last month he invited researchers from five universities to Canberra to meet officials from his department and the CSIRO to toss around ideas. Professor Stanley’s paper was entitled “Lessons from Western Australia: You can do it and the sky won’t fall”. Richard Denniss, executive director of the Australia Institute says he understands privacy concerns but says they are outweighed by the good that is likely to come from “joining up” data. Half a century ago (and far too late) the mourning sickness drug thalidomide was removed from shelves after thousands of mothers gave birth to disabled children. Professor Stanley says if researchers back then had had access to real-time prescription and birth data they would have spotted the link sooner. What really disturbs her is that they don’t have access to that data today. “The whole reason we set up birth defects registries across Australia was to pick up the next thalidomide,” she says. But until now we haven’t been able to link those registries to the Pharmaceutical Benefits Scheme. It’s insane,” she says. The anti-arthritis drug Vioxx was withdrawn in 2007 after years in which its users died of heart attacks. 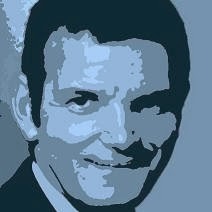 Professor Stanley is certain access to Carr’s Pharmaceutical Benefits prescription data and Medicare data would have allowed researchers to spot the link sooner. Professor Stanley and colleagues in Western Australia have drawn unnerving conclusions about the relative effectiveness of schooling in educating children, conclusions they could not have been able to draw without linking the state’s birth, health and education records. “Parental factors are far more powerful than anything in the school system,” she says. Another important and previously-unacknowledged finding is that Perth psychiatric patients are much more much likely than others to later suffer from heart disease and diabetes. Targeting resources for preventing those diseases to them would be akin to pre-programing the lifts in the Hitchhiker's Guide to the Galaxy or stopping a crime before it took place along the lines of Minority Report. Stopping health problems and poverty before they get started is Kim Carr’s holy grail. It makes him part health minister, part minister for social inclusion. He sees his role as improving people’s lives. Human services may not have been a portfolio he sought, but he gives every indication he is relishing it and is keen not to waste time.